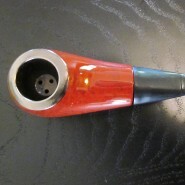 Home > Shop > Classic wood smoking weed pipe. Classic wood smoking weed pipe. Classic natural made handcrafted wood smoking pipe 3 1/4" long. free gift. Cutting a new piece of hardwood and creating an amazing handmade wood smoking pipes for everyone. Many methods employed to pack a wood smoking pipes.